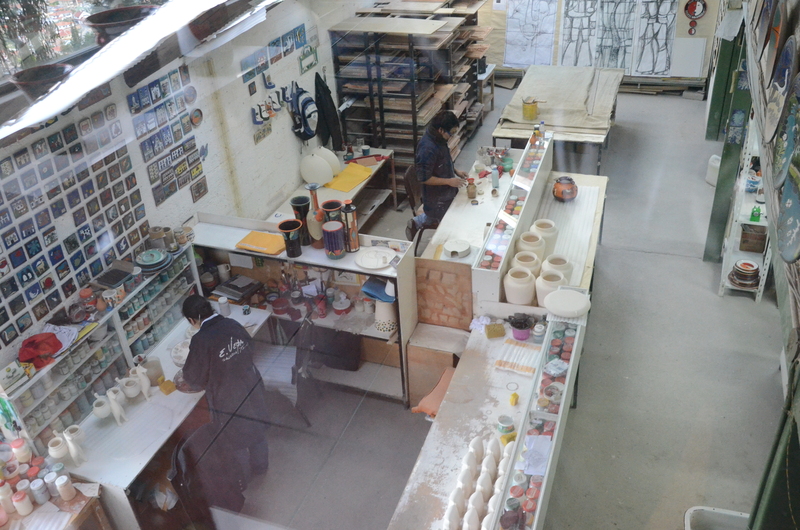 In the studio of Eduardo Vega, today’s ceramic pottery is functional and exquisitely formed. 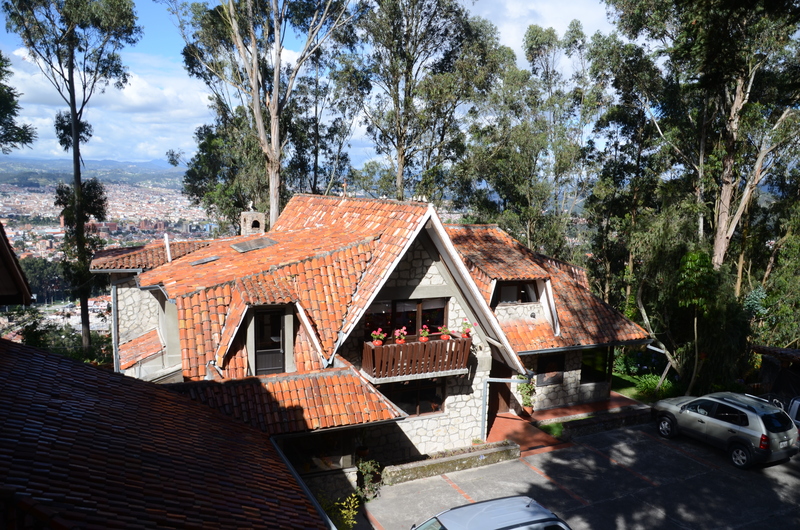 After studying in Europe, Vega returned to Cuenca and developed a unique style, deeply rooted in Ecuadorian history. 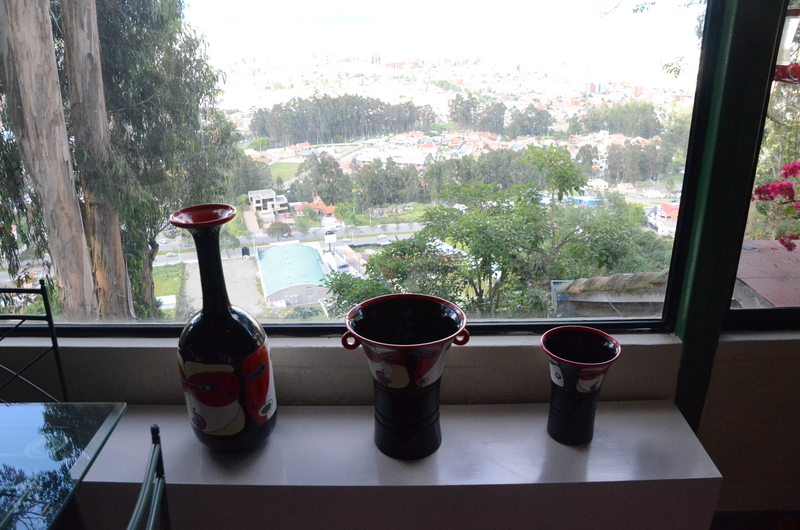 Patrons often have an opportunity to meet Eduardo Vega when visiting his shop in the Mirador de Turi area overlooking Cuenca. 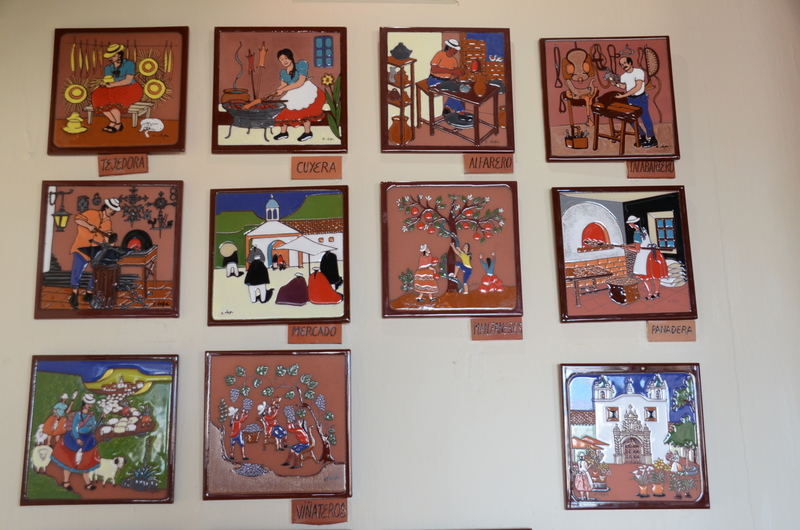 His terracotta and enamel murals can be found in Cuenca and many other places. 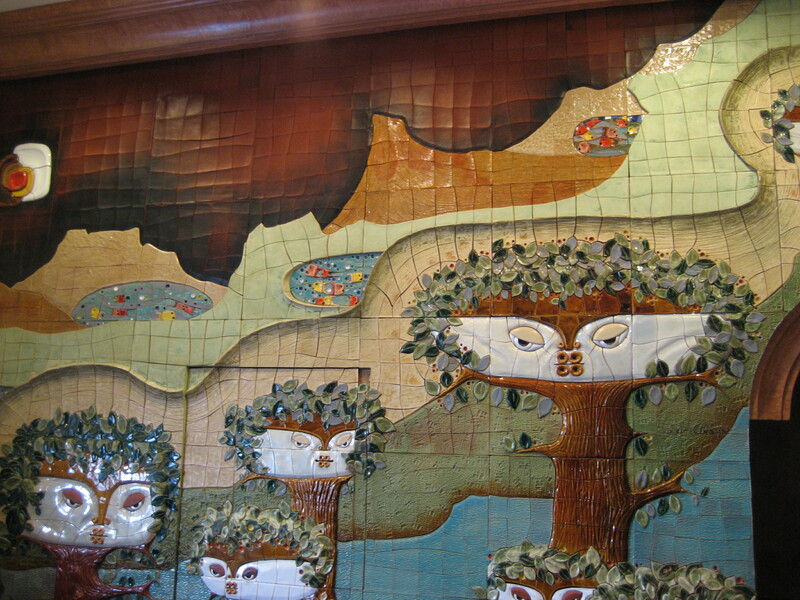 Two Who Trek visited the Hotel Crespo in Cuenca where a lobby wall is one mural. 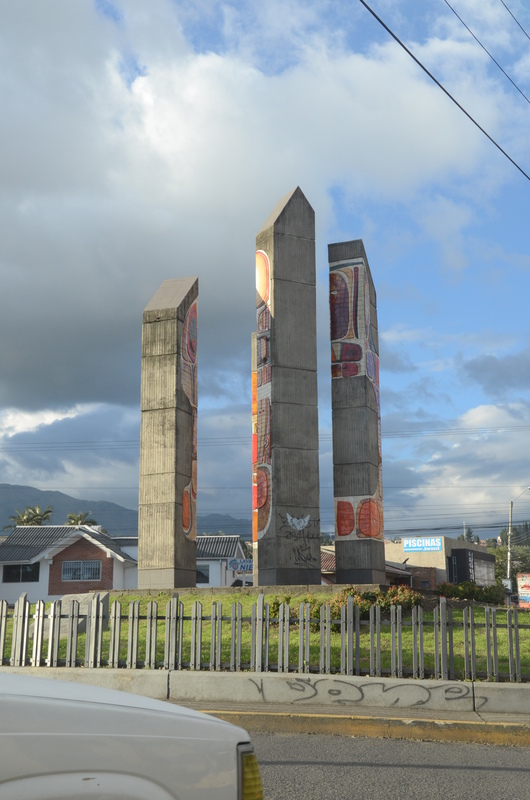 Larger than life totems are on an island in the middle of Cuenca’s avenue Remigio Crespo. Many objects more practically sized for airport bound visitors are available for purchase at the Vega studio. 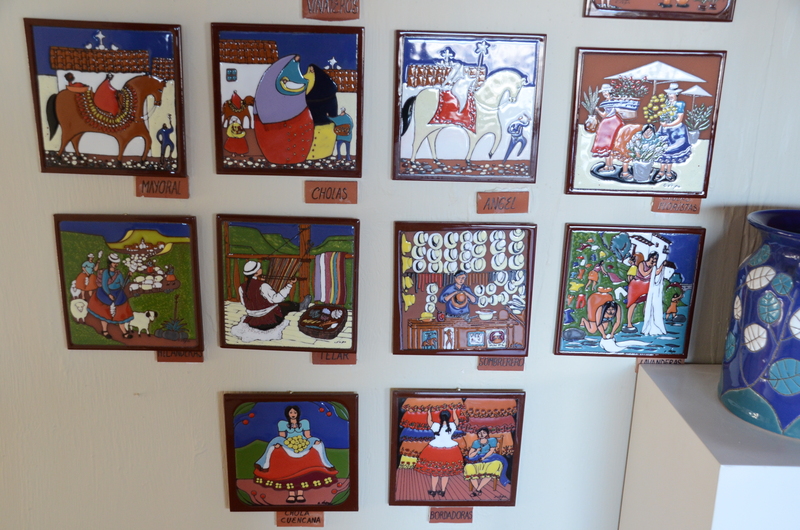 Ecuadorian animals and plants are often featured on pieces ranging from beverage coaster to holiday serving platter size. One group of subjects represents the fauna of the Galápagos. Another group represents different types of typical occupations. 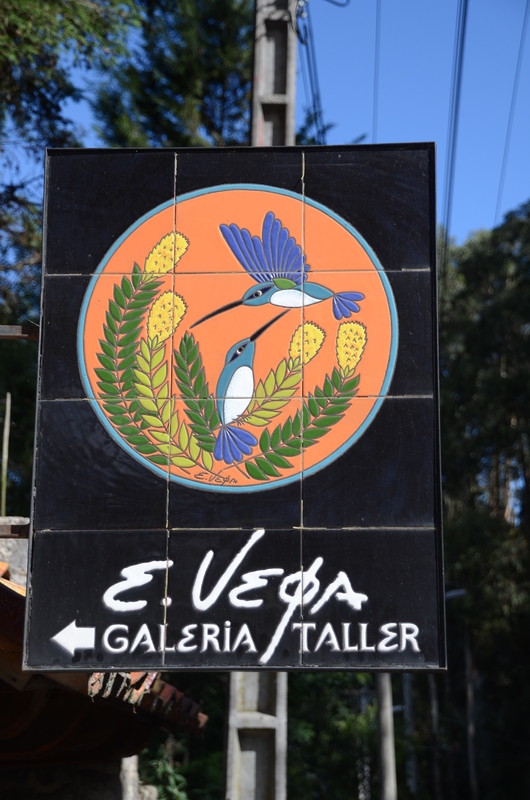 When you enter the gallery, off to the right is a museum of some of Vega’s most famous work. None of these items are for sale. 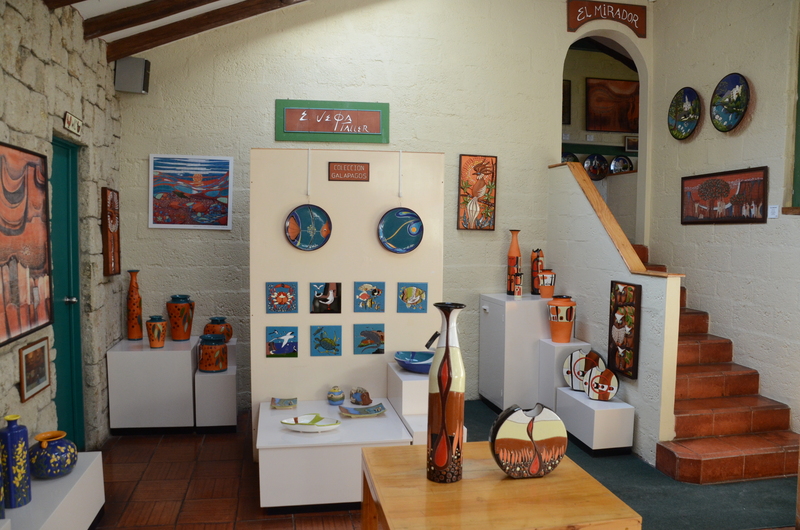 Of course, the gallery had many items for sale to visitors, ranging from plaques to mugs to vases to statutes. 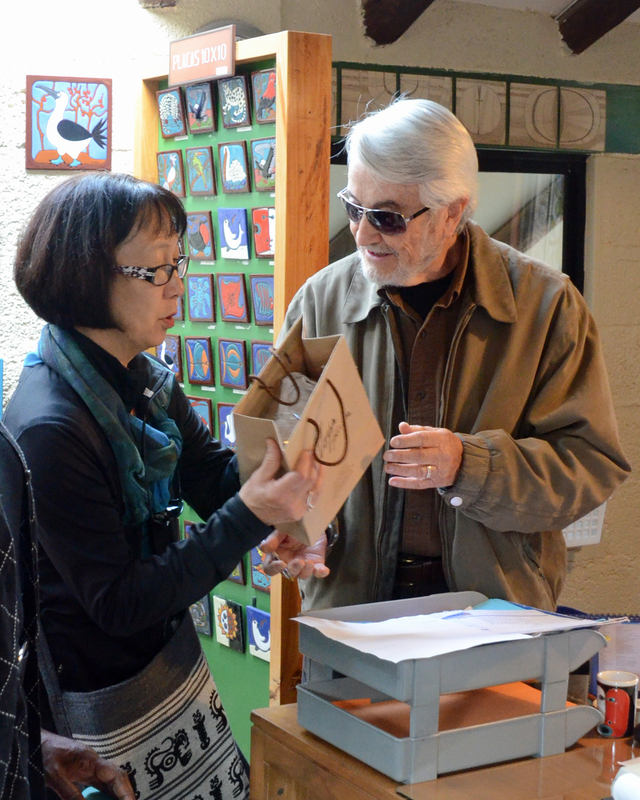 It was difficult to select a piece to bring home. All the pieces Two Who Trek saw were simply beautiful! 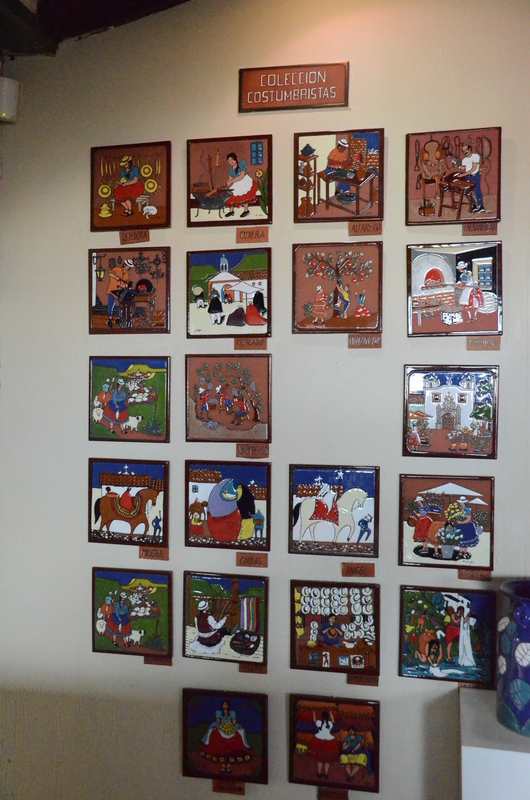 Here are some samples of the beautiful works offered for sale.